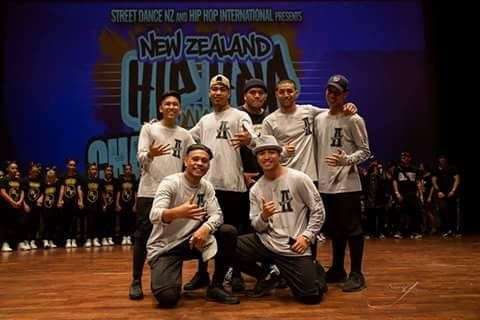 A crew of past students from Manurewa High has made it through to the Street Dance NZ Nationals, while one of Manurewa High School's very own staff is in a crew who will also perform at top level. Jerome Aiga, William Boquiron, Tim Tonganibeia, Etuale Fuilala and James Talatofi are all Manurewa High School alumni. Their crew took part in the regional final held at the Vodafone Events Centre, and made it through to next month's nationals. New Manurewa High School teacher, Mr Allister Salaivao, also took part in the competition with his own crew, Prestige, for whom he choreographs and performs. Prestige will compete in the adult category of the national final. The national final will be held at the Victory Convention Centre from 13-18 April. Winners from this competition are sent to Las Vegas to compete in the world hip hop champs later in the year. Well done to all our students who took part, and good luck to all those competing in the nationals!